Kevin Lents has been married to his bride Sheila for 28 years and they have 5 home schooled children. He has given faith studies/talks on the faith from Indianapolis to Evansville and all points in between. He was baptized as an infant, but not raised in the faith. He came home to the Church in 1998. In February of that year Kevin had a life changing experience with a Christ Renews His Parish retreat. Kevin has had numerous guest appearances in Catholic media including: EWTN's "The Journey Home", EWTN radio program "Deep in Scripture", Gus Lloyd's live call-in show on "Relevant Radio." His conversion story is recounted in a book by Donna Steichen called "Chosen". 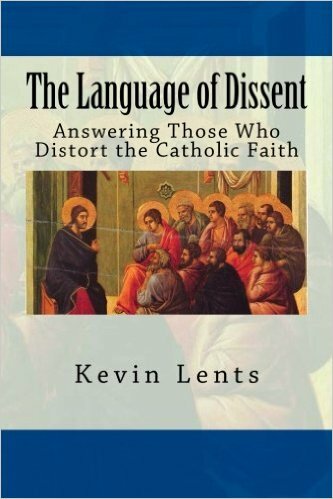 In the fall of 2014, Kevin published a book on corrective catechesis called "The Language of Dissent" and has given speaking engagements and conferences on the book at various Catholic retreat centers and parishes.